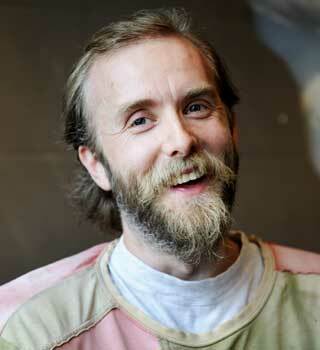 Varg Vikernes (a.k.a. 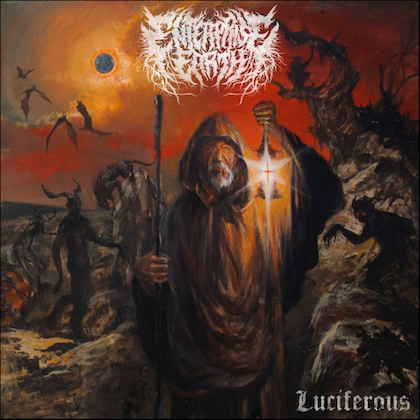 Count Grishnackh) — the former BURZUM mastermind who is currently serving a Norwegian prison term for the August 1993 murder of MAYHEM guitarist Oystein Aarseth (a.k.a. Euronymous) and setting fire to three churches — will soon be a free man. In September 2008, Vikernes's fourth application for parole was denied, but a couple of weeks ago he finally received the message he has been waiting for: after almost 16 years in prison, he will be released. "I will have to report [to the parole officer] for one year — initially every two weeks, and then once a month," Vikernes told the Dagbladet newspaper. Varg's mother, who last year wrote a letter to Dagbladet in which she argued that her son was being unfairly treated by the justice officials who repeatedly denied his parole application, is very relieved that her son will be able to join his family in Bø (a municipality in the county of Telemark, Norway), where he recently purchased a small farm. "I am very happy that he has been so strong and that he held out," she said. "It will be good for the family that they can be together every day." For the past couple of years, Varg has been allowed to leave the prison regularly to walk around Tromsø, Norway (where the prison is located) and visit his family: his mother, his wife, eighteen-month-old son and sixteen-year-old daughter. "I'm ready for society — and I have been for many years," Vikernes told Dagbladet last July . "I have learned from my mistakes and become older. Now I just want to be together with my family. My mind has never been in prison; I think all the time about what I should do on the day that I am released." He added, "I have barely seen my son since he came into the world. Even though I hear his voice on the phone almost every day, it is very tough to not be present while he is growing up. I miss my family. And I look forward the day that I could work on my farm, create music, write books and be with the wife and kids around the clock — and live a normal life. I have received tremendous support from my family. It means a lot." Last year it was reported that case workers at the Justice Ministry feared that Vikernes would be unable to adjust to life on the outside after his years in jail. In denying his parole for the second time, the Justice Ministry emphasized that Vikernes escaped from prison in 2003 and that he has ties to neo-Nazi groups. "I haven't been in contact with them for a long time. Police security services know this," Vikernes previously told the VG newspaper.